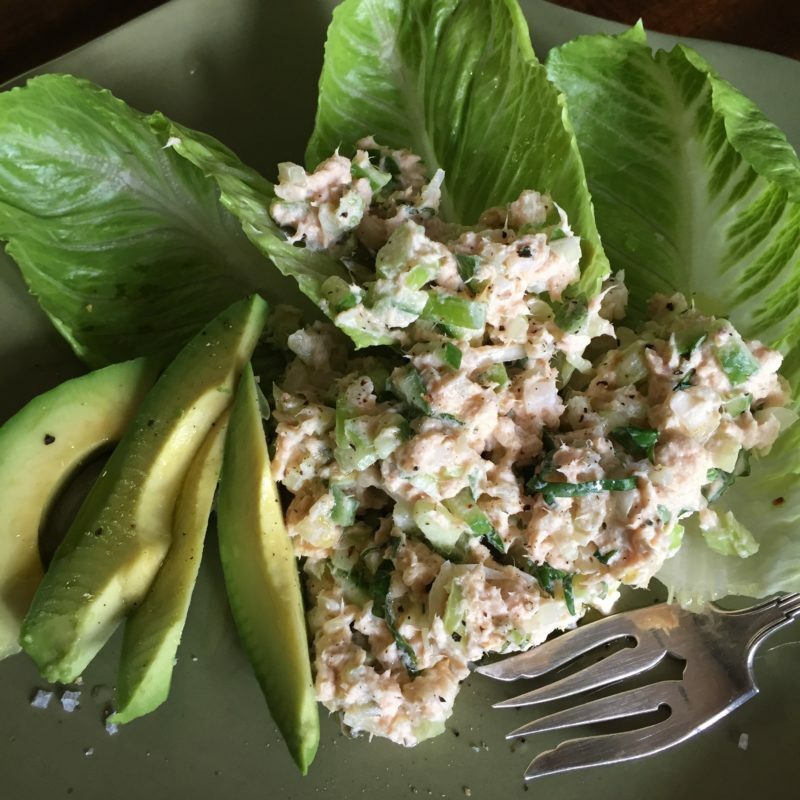 This is a perfect way to to get some high quality brain food (omega 3’s), protein, and lots of veggies in a simple dish either for lunch or for a summer evening light dinner. I use Wild Planet, sustainably-caught salmon and mix it with veggies and a chopped dill pickle to curb my salt cravings. You can mix almost any crunchy vegetables in to vary this. Use your imagination: jicama, peppers, Easy to make and great for leftovers. drain salmon, break apart with fork, and mix in mayo, yogurt and all other ingredients. Serve on a bed of romaine or any preferred greens. Top with an extra squeeze of lemon juice!